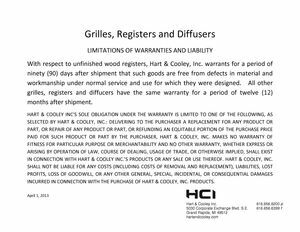 No one satisfies the demands for air distribution solutions better than Hart & Cooley. 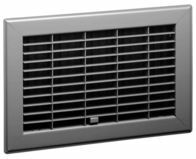 Our wide selection of grilles, registers, diffusers, and accessories includes a variety of shapes and sizes to meet any application and budget requirement. Products are offered in steel, aluminum or plastic construction, and are designed for installation ease. They are made with an attention to detail that contributes to unmatched performance. For example: an electro-deposition paint finish creates a flawless appearance; stamped face margins eliminate mitered corners and rough edges; each product is identified with a unique bar code label; and shrink-wrap packaging makes sure products are delivered in perfect condition. 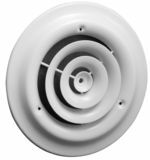 The wide variety of fin spacings, air patterns, and damper controls assures an appropriate solution for each application. A nationwide distribution network provides for consistent product availability and timely delivery.